Renovating your bathroom is a great project to undertake at your home. 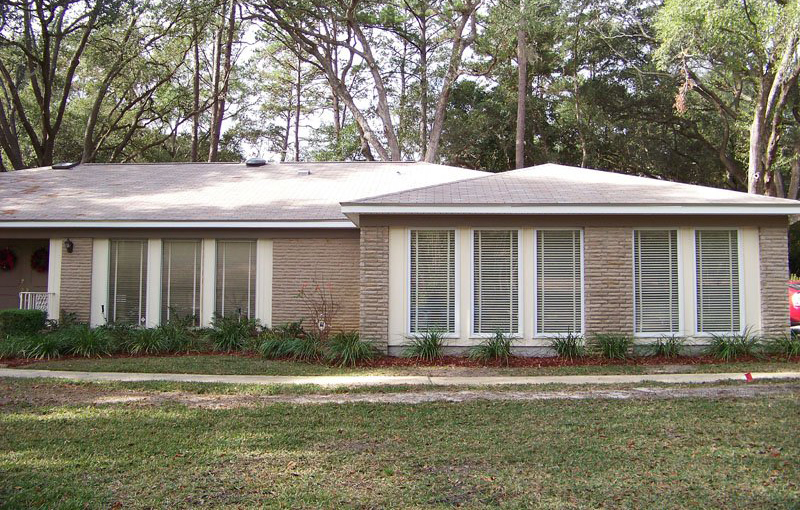 Not only will you increase the wow-factor, comfort and convenience in one of the most frequently used rooms in your home, but you’ll increase your home’s resale value in the process. There are some really incredible trends in bathroom renovations today that are making a splash among house flippers and avid renovators alike. We’ve picked out some of our favorite ones to help inspire you to make your bathroom renovation great. 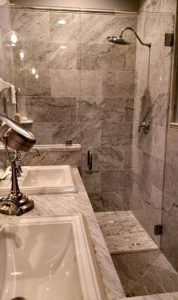 Renovating a bathroom can be as simple as re-doing the tile or as involved as transforming the space from a blah-but-functional bathroom into a luxurious retreat within your own home. Creating an in-home spa-like experience is possible with some of these popular trends. 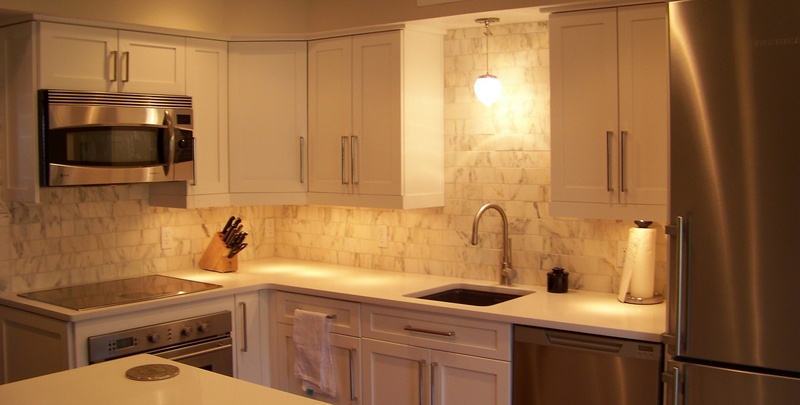 HGTV is many people’s go-to TV network when it comes to all things design, trend and renovation. 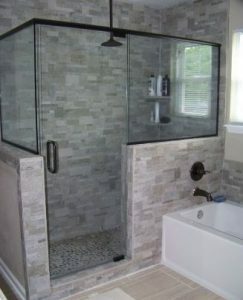 They’ve pointed out some of the coolest trends in bathroom re-dos today, and one of our favorites is the spa shower. Rather than making your shower a simple standing shower, HGTV urges remodelers to think of the shower as a small room that’s all its own. Consider incorporating a few different types of showerheads, for example, to provide a unique experience in the shower. We love rain showerheads that are installed directly above where you stand. 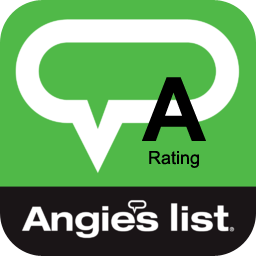 As Angie’s List notes, they can really make it feel like you’re shampooing in a rainforest. If you’re not willing to give up on a spot to soak – and we don’t think you should – add a luxurious tub or even a hot tub or spa that can be a comfortable place to unwind for hours. You may also want to consider adding a bench where you can relax while you dry off and get ready for the day. Last, adding simple elements like stone flooring or unique glass doors can also transform your simple bathroom from a shower and toilet into an immersive spa getaway. 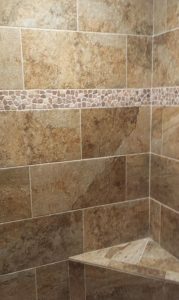 Consider also incorporating high-quality design elements into your shower by covering the soap dish or one wall with a different style of accenting tile. This not only creates a focal point and an interesting design element, but it’s an easy way to save a bit of cash. Mixing in select features that use or incorporate high-end materials makes your bathroom feel more expensive and adds an air of luxurious design throughout your space at a fraction of the overall cost. For a bathroom to really feel comfy and cozy, consider a vanity that’s furniture-inspired – that is to say that instead of a cold, boring design that features mostly porcelain, choose a vanity that would look at home in your living room with rich colors and detailed handle pulls. InteriorZine says that this trend is also a great way to make a smaller home feel bigger by creating a flow from one room to the next. Plus, it’ll give your bathroom a cozy, living-room-like feel. InteriorZine is also recommending that anyone looking to renovate consider embracing organic materials – and we think you should too. Consider using reclaimed wood as an accent to contrast with modern design choices, or add plant life into your bathroom space that can grow and thrive from the moisture and heat in the air from your shower. You can also consider choosing eco-friendly selections, like installing a low-flow toilet that conserves water or using recycled materials for tiles or flooring. Making your bathroom environmentally friendly will only increase its value to potential buyers, and bring you more peace of mind while you sit in that gorgeous tub. If you share your bathroom with a spouse or a loved one, consider privacy in your remodel. You can use a half wall to hide the toilet away or redesign the room entirely to include a super-modern layout that leaves the shower and sinks accessible from the bedroom but moves the toilet behind a second door. That way you can both be in the bathroom but still have a bit of privacy. Another easy way to do this is to add a cabinet between the two sinks on the vanity that reaches from the counter to the ceiling. Not only is this a great way to add storage, it’s an easy way to add some simple privacy to the bathroom – after all, there’s no need to stare at each other while you brush your teeth! Whatever your preferences are, thinking about privacy in your reno plans is a way to make sure you and your spouse both feel comfortable and at home in your bathroom at all times. These are just a few of the cool new trends that we’re seeing currently. 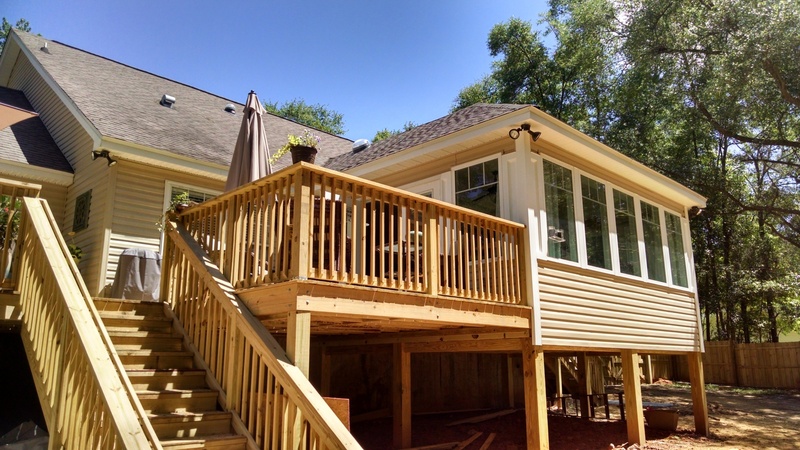 When you work with Reynolds Home Builders, you can incorporate a wide range of custom designs, features, elements, styles and more. Whatever you’re looking for in your modern bath remodel, we can help you achieve it. For more information on bathroom renovation services or to speak to an expert about what you have in mind, call us today at 850-508-5076.